Book Now for May - August 2019 Willow Sculpture Days &... watch BBC2's Twinstitute tonight!! I’ve just opened bookings for the 14 Willow Animal & Basket Sculpture Days that I will be teaching May – August 2019 at Coates English Willow on the Somerset Levels. Find all the details, including how to book by going to my Courses page. Please book via my Online Make a Booking Enquiry Form. Due to the demand, places on my Sculpture Days are only allocated on a ‘first come, first serve’ basis on receipt of both your completed Booking Enquiry Form and your full payment. Once you have sent in your booking, please bear with me whilst I work through bookings on a strict date and time basis, (I have to do this for my own conscience!) To secure your place/s, when you have received my email reply, that includes payment information, please do get back to me with payment asap! For a better chance at obtaining a Willow Sculpture Day place /s, do let me know a 1st and 2nd choice of date, and if attending with family/friends, make one group booking. Please bear with me whilst I process your booking, the only admin fairy that I have is myself and whilst she’s very efficient she’s also got to balance her admin alongside teaching/commissions and living! Enjoy watching… I’m going to be doing so from behind a cushion!!! ps. 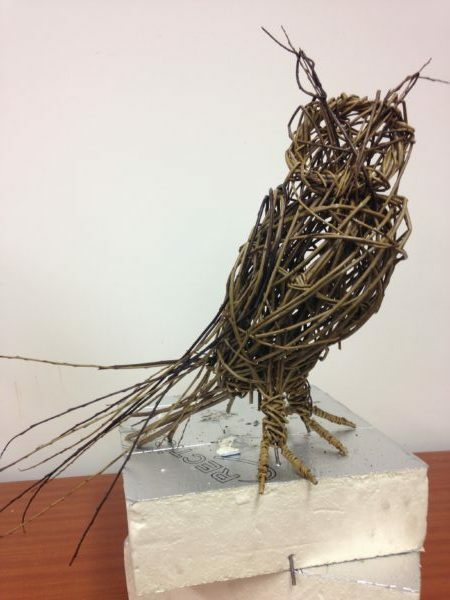 My featured image of a Willow Owl was created at by the talented Alexi Bardi at one of my Willow Bird Sculpture Days. Alas I have no photo of the flying willow Owl that Brian the identical twin created during our experiment. 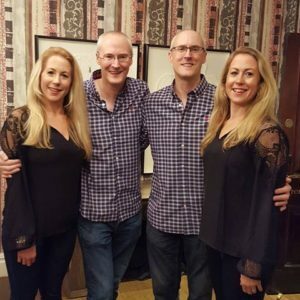 Brian is one of the lovely twins in the right hand photo – in which he may be on the left or right hand side! ← How I just love teaching a Willow Basket Sculpture Day!